Contents: Dixit Dominus (Ps 109) in C major. 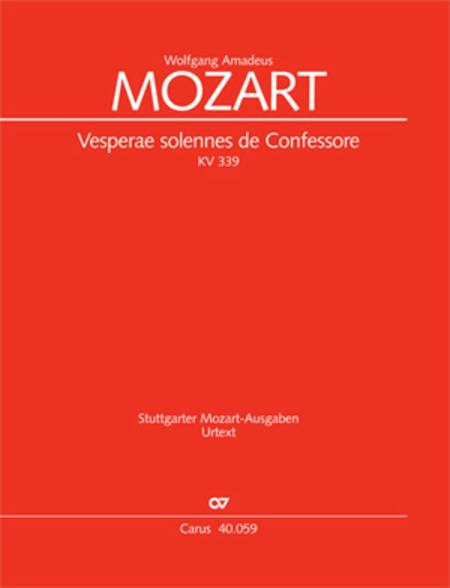 Confitebor (Ps 110) in E flat major Beatus vir (Ps 111) in G major Laudate pueri (Ps 112) in D minor Laudate Dominum (Ps 116) in F major Magnificat in C major The present new critical editon of the ""Vesperae solennes de Confessore"" KV 339, edited by Wolfgang Horn, is the first edition since the publication of the "old" Complete Edition from 1880 to be based on Mozart's autograph score. It was thought to have been lost after the second world war but for the past several years it is again accessible through the Biblioteka Jagiellonska in Krakow. 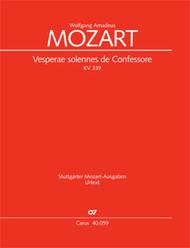 This work is now available in carus music, the choir app! Score available separately - see item CA.4005900.